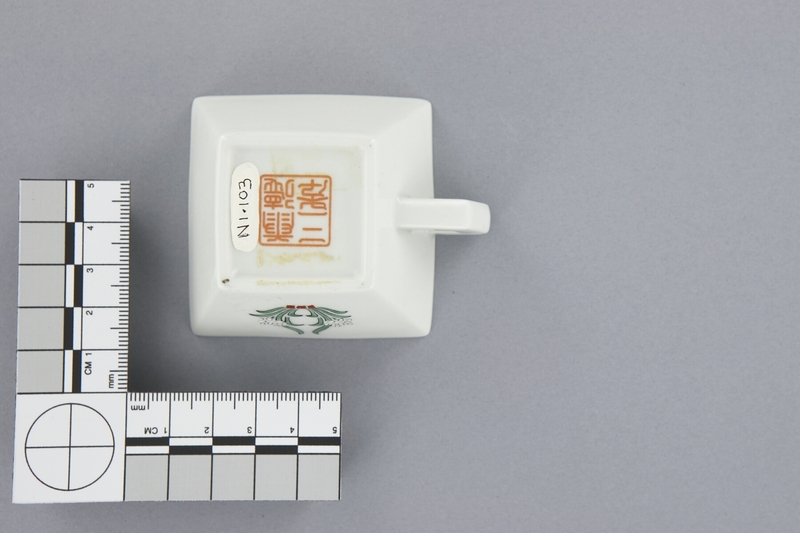 Item number N1.103 from the MOA: University of British Columbia. 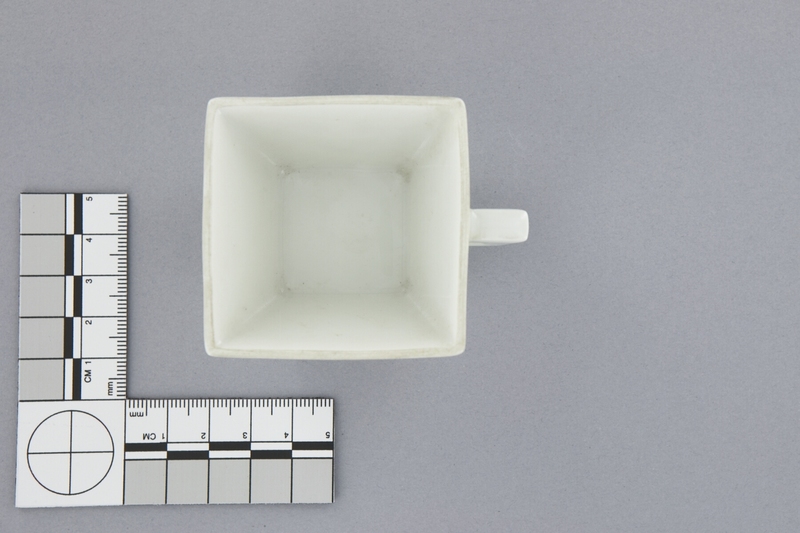 Square, pale white-green cup with flaring sides and a small, angular handle. 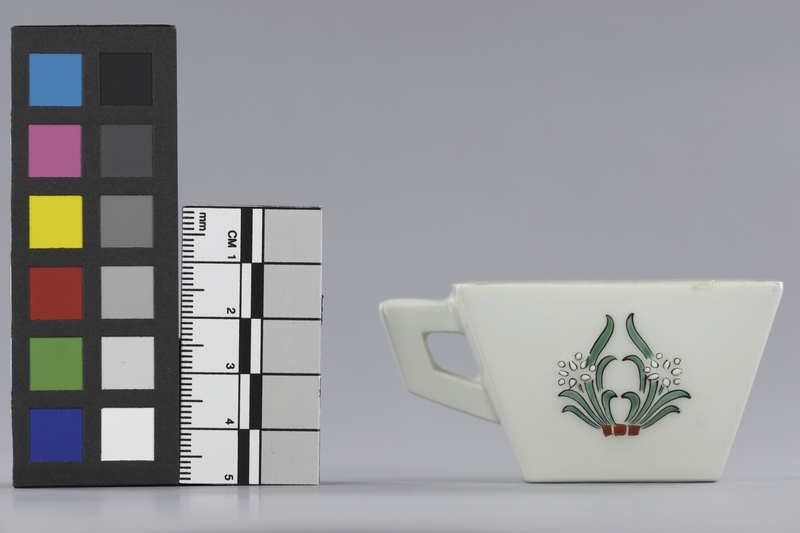 Flowers in green, white and red on one side of cup. Orange seal mark underneath is a household mark. 1930's style. clay, glaze and enamel ?